Our special occasion and holiday cookies are a Capital District favorite. We take special pride in the fact that thousands of happy couples have chosen us to be part of their special day. Next to the bride, the wedding cake is the star of the reception! Specialty cakes available in all sizes and themes. From patriotic to Christmas, from beach to birthday, and so many more. Customize your cake or choose from our endless designs for your special occasion. Cupcakes! Cupcakes! Cupcakes! Everyone’s favorite treat is available in multiple flavors and sizes. Customized cupcakes for weddings, parties, and more! Italian Pastries and More. Cannolis, sfogliatelle, lobster tails, cream puffs, and eclairs are just a few of the many pastries available daily. Purchase a dozen cannolis or assorted pastry platter! Seasonal Breads and more We are known for more than our crusty Italian and French bread. Our line of sweet breads, available daily! Traditional Italian cookie platters are available in three sizes or customize your own. American style cookie platters featuring favorites such as chocolate chip, snickerdoodle and more. Gift Ideas! Italian cookie and pastry platters, along with customized cutout cookies are the perfect gift for any special occasion and all corporate events. Serving events from 6-600! 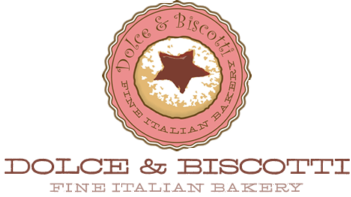 Gluten Free and More Dolce & Biscotti has the most extensive gluten free menu in the Capital District. From wedding cakes to birthday cakes to cookie platters to cupcakes and quiche, we put our team's years of experience into everything we create. We wish you a Happy Easter Season!